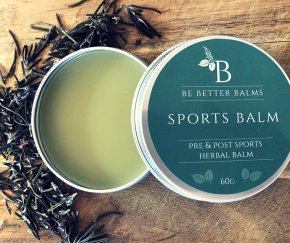 Deeply hydrate dry and rough skin with our super moisturising balm, packed with gentle, sweet scented herbs to nourish and soften the skin. The good stuff: Sweet Almond Oil infused with Lavender, Shea Butter, Coconut Virgin Oil, Cocoa Butter, Arnica Infused Oil, Candelilla Wax, Natural Vitamin E, Essential Oils (Ylang Ylang, Neroli and Rose Otto in jojoba oil). Use me: Massage a small amount into dry and rough skin. Safety first: For external use only. If irritation occurs discontinue use. 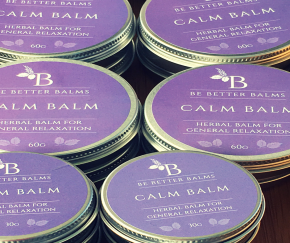 Care for me: For best results, keep out of direct sunlight and below 25 Degrees. 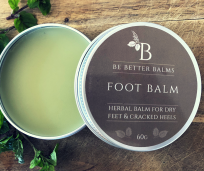 Nourish dry feet & cracked heels with our super hydrating balm, packed with antibacterial herbs to promote the skin’s natural healing process & aid circulation when massaged. 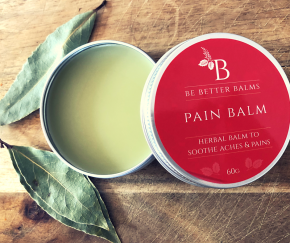 The good stuff: Sweet Almond Oil infused with Native Australian Mint (Mentha Australis), Shea Butter, Coconut Virgin Oil, Cocoa Butter, Arnica Infused Oil, Candelilla Wax, Natural Vitamin E, Essential Oils (Peppermint, Thyme, Tea Tree). Use me: Massage a small amount into the affected area. For an intensive treatment, massage into the affected area at night and wear socks overnight. Massage our Pain Balm to target general aches & pains. 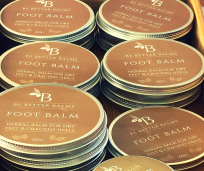 The good stuff: Sweet Almond Oil infused with Bay, Shea Butter, Coconut Virgin Oil, Cocoa Butter, Arnica Infused Oil, Candelilla Wax, Natural Vitamin E, Essential Oils (Marjoram, Ginger, Cypress). 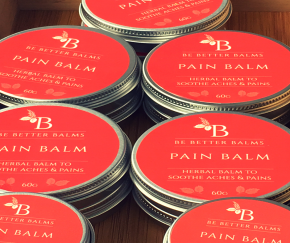 Use me: Massage a small amount into sore areas. 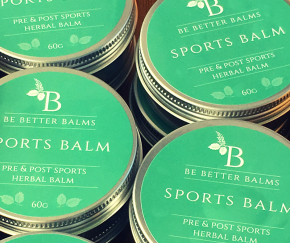 Massage our Sports Balm before and after your workout to promote circulation and target tight spots. 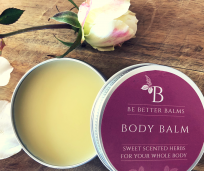 The good stuff: Sweet Almond Oil infused with Rosemary, Shea Butter, Coconut Virgin Oil, Cocoa Butter, Arnica Infused Oil, Candelilla Wax, Natural Vitamin E, Essential Oils (Rosemary, Wintergreen, Vetiver). 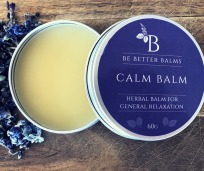 Relax with our soothing balm, packed with gentle herbs used traditionally to help calm the nervous system & help you unwind. The good stuff: Sweet Almond Oil infused with Lavender, Shea Butter, Coconut Virgin Oil, Cocoa Butter, Arnica Infused Oil, Candelilla Wax, Natural Vitamin E, Essential Oils (Lavender, Neroli in jojoba oil, Clary Sage). 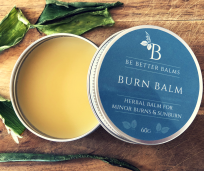 Hydrate minor burns & sunburn with our super rich balm, packed with cooling herbs to promote the skin’s natural healing process. The good stuff: Sweet Almond Oil infused with Calendula & Aloe Vera, Shea Butter, Coconut Virgin Oil, Cocoa Butter, Arnica Infused Oil, Candelilla Wax, Natural Vitamin E, Essential Oils (Lavender, Roman Chamomile in jojoba oil, Spearmint). 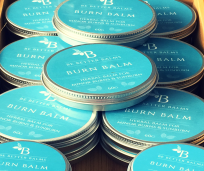 Use me: For best results, keep the balm in the fridge. Rub a small amount into the affected area. 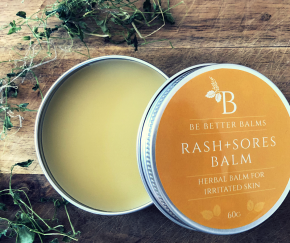 Nourish irritated skin with our super hydrating balm, packed with antiseptic herbs to help the skin’s natural healing process. The good stuff: Sweet Almond Oil infused with Calendula & Chickweed, Shea Butter, Coconut Virgin Oil, Cocoa Butter, Arnica Infused Oil, Candelilla Wax, Natural Vitamin E, Essential Oils (Frankincense, Palmarosa, Tea Tree). Use me: For best results, keep the balm in the fridge. Make sure the affected area is clean. Rub a small amount gently into the affected area (irritated skin, cut or bite). Cover with dressing if needed. Ingredients: Purified water, Cocoa butter, Jojoba oil, Vegetable wax,Aloe Vera juice, Grapefruit seed extract, Coconut extract, Lime andMandarin Essential oils. How to use: Massage generously over entire body. 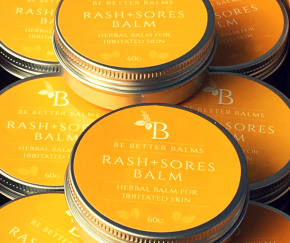 Nourish, nurture, support - your skin will thank you for it. 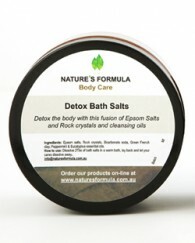 Detox the body with this fusion of Epsom Salts & Rock crystals and cleansing oils. 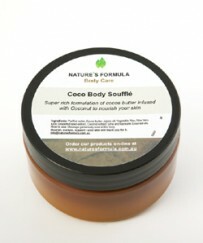 Ingredients: Epsom salts, Rock crystals, Bicarbonate soda, Green French clay, Peppermint & Eucalyptus essential oils. How to use: Dissolve 2Tbs of bath salts in a warm bath, lay back and let your cares dissolve away. Dry skin brushing has many health benefits, stimulates the lymphatic and circulatory systems and leaves your skin silky, hydrated and glowing. 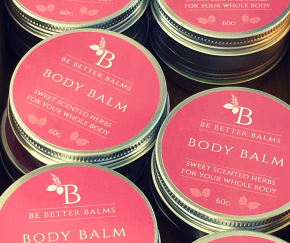 Our natural fibre skin brushes are easy to use and feel wonderful.